Originally from Montgomery, Alabama, Chelsea got involved with immigrant rights work in 2011 as an undergraduate in Nashville, Tennessee. In 2012, she started studying Urdu language at the University of Wisconsin. 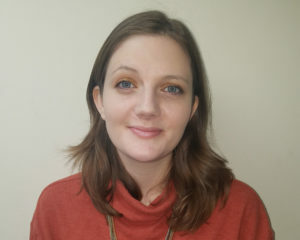 After earning her Bachelor’s degrees in Economics and Asian Studies in 2014, she spent a year working with refugee youth at the Center for Refugees and Immigrants of Tennessee and interning at the Tennessee Immigrant and Refugee Rights Coalition (TIRRC). She continued her studies in Urdu language and literature as an Urdu language fellow at the American Institute of Indian Studies in Lucknow, India. After returning to the U.S. in 2016, Chelsea gained experience in civic engagement and immigration legal services as a Summer Associate at Chhaya CDC in Jackson Heights, Queens. That same year she gained the opportunity to serve as COPO’s interim ESOL Instructor. Since then she has been fortunate to continue coordinating COPO’s legal services, Know Your Rights outreach, voter mobilization efforts, and volunteers. 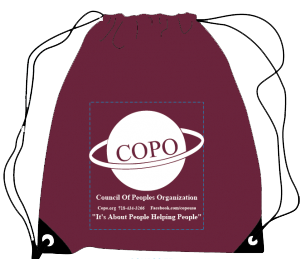 She is thankful for the opportunity to serve COPO’s surrounding community in a meaningful, impactful way. In her free time she watches murder mysteries, goes hiking in nature, and plays with her cat.